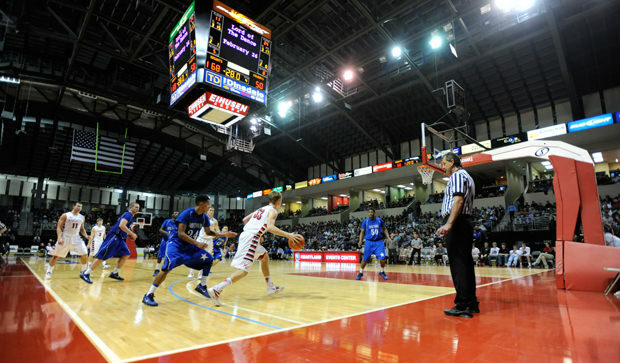 The Heartland Events Center hosts basketball events such as the annual Heartland Hoops Classic, pitting local high school teams against each other and ending with a keystone match-up versus a national powerhouse. 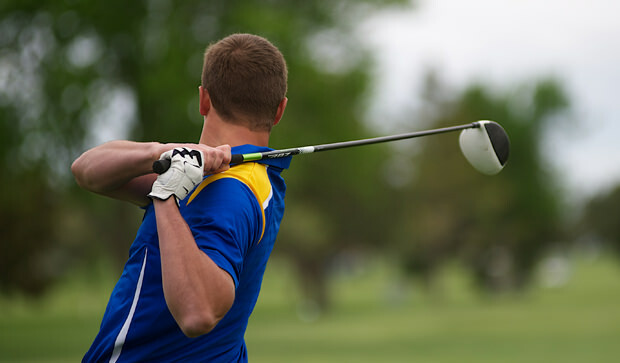 Grand Island regularly hosts golfing events such as the boys' state tournament. Choose from one of three 18-hole courses in town. 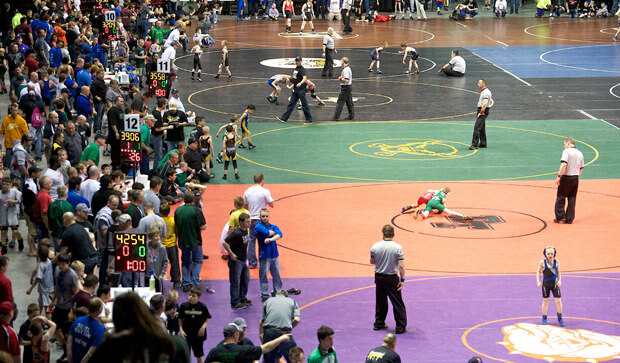 The Heartland Events Center is a fantastic venue for wrestling events. Annual meets keep coming back every year. 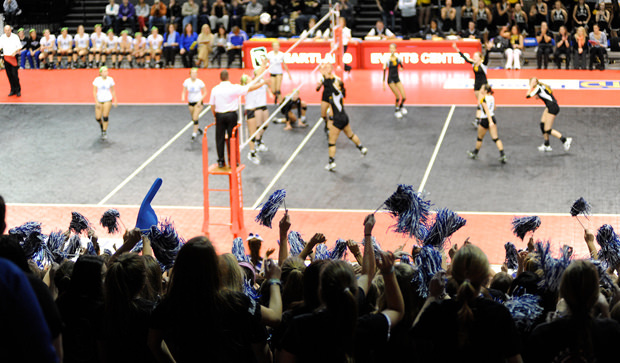 The Grand Island Sports Council and Convention & Visitors Bureau partner with local, state and regional organizations to make great events like the state volleyball tournament memorable for everyone involved. The state cheer & dance championships are an annual favorite here in Grand Island. Grand Island has hosted scores of regional and national competitions — equine, shooting, wrestling, basketball, archery, bowling, cheerleading, soccer and more. We have a high rate of return events, evidence that Grand Island knows how to make sporting competitions and tournaments successful. Grand Island offers a diverse array of top-notch venues from an arena that can seat more than 7,500 to a state-of-the-art shooting park. We’re equipped to handle competitions in virtually any sport from equine to archery, from trap shooting to wrestling, from dance to basketball. Grand Island is located right in the middle of the U.S. off Interstate 80. Our regional airport connects us daily with Dallas/Fort Worth and weekly flights connect passengers to Phoenix and Las Vegas. Once you’re here, getting around is simple; you can get across town in about 15 minutes. There are about 1,500 hotel rooms within five minutes of all major venues. When your teams and fans aren’t busy with your event, there is plenty for them to do inluding great shopping and recreation, from museums to a fabulous water park, from restaurants to nature experiences. Your dollar goes farther in Grand Island whether your booking hotel rooms or dining out, and you won’t sacrifice quality while you’re saving money. Competitors and fans alike will leave Grand Island with more money in their pockets — and great memories of an event like no other.